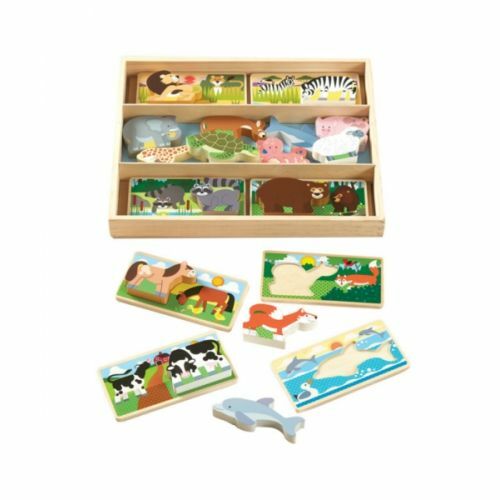 Eight double-sided boards have farm, safari, ocean, and woodland scenes with wells cut out to fit one of the 16 wooden animals. Measures 11" x 13.25" x 1.25". Ages 2 and up.